As far as I am concerned, Dino Melaye is still a member of APC, says Bukola Saraki – Royal Times of Nigeria. 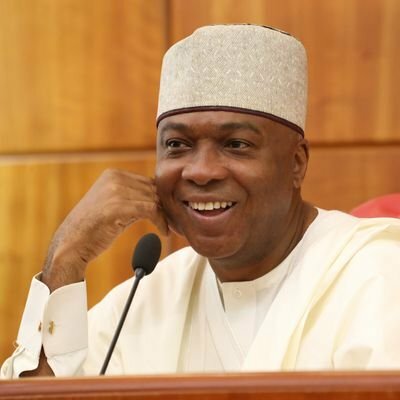 Senate President, Bukola Saraki, says as far as he is concerned, Dino Melaye is still a member of the APC. Saraki said this shortly after Dino announced his defection to the opposition party this morning. Saraki who was laughing after Dino announced his defection, said Senator Melaye remains a member of the ruling party. He added that Melaye will be allowed to temporarily seat among the opposition for now. It could be recalled that Dino this morning had asked that his seat be moved to the aisle where members of the opposition usually seat in the chambers.